Once you watch this video and practice the techniques mentioned above, you will propell your guitar playing to whole new dimensions, trust me. These are the basic techniques you will use when you start playing solos and riffs, so learn and practice everything. Sorry, but you've reached a premium content area. The download of the Lead Guitar Lesson 1. – beginner guitar lesson #8 tablature file is only available to premium members. Sorry, the same goes for the backing track. To download the backing track to Lead Guitar Lesson 1. 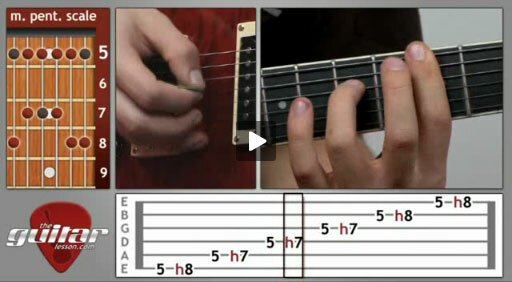 – beginner guitar lesson #8, please log in and revisit this page.